Plants Need CO2 was a climate complacency front group 501(c)(3) that (with ad-buying sibling 501(c)(4) CO2 Is Green) popped up in 2009, with a mission "to educate the public on the positive effects of additional atmospheric CO2...". One of its directors, Corbin Robertson of Quintana Minerals, "is said to own more coal through his various ventures than anyone outside of the U.S. government" - and was a Koch strategy group attendee. According to the Plants Need CO2 website, "Earth and it's inhabitants need more, not less, CO2...". Skeptical Science provides the evidence that "Negative impacts of global warming on agriculture, health & environment far outweigh any positives". The group's only named principal is its spokesman, H. Leighton Steward, described as "a geologist, environmentalist, author, and retired energy industry executive" who's interested in "helping to educate the general public and the politicians about the tremendous benefits of carbon dioxide (CO2) as it relates to the plant and animal kingdoms and their related ecosystems and habitats, and the general health of humanity". The plantsneedco2.org domain was originally registered on May 26, 2009; as of its August 25 2009 update it showed H. Leighton Steward as the registrant, using a networksolutionsprivateregistration.com email address and the Network Solutions business address. Earlier, registration information reportedly tied it to Quintana Minerals Corporation, which "provides oil and gas exploration services to the energy sector" and "offers crude oil and natural gas production services." The Plants Need CO2 website does not name the group's directors, only spokesman H. Leighton Steward. According to its corporate Certificate of Formation, the group has three directors: Steward, Wyatt Hogan and Corbin Robertson Jr.
H. Leighton Steward is a director at EOG Resources, an oil and gas company formerly known as Enron Oil and Gas Company, where he earned $617,151 in 2008. Wyatt Hogan is Vice President, General Counsel and Secretary of GP Natural Resource Partners LLC. ↑ gpwayne (2010-08-17). Positives and negatives of global warming. Skeptical Science. Retrieved on 2011-04-04. ↑ Plants Need CO2 (2009). About Plants Need CO2 - CO2 is Green & Green is Good. Retrieved on 2009-09-18. ↑ 5.0 5.1 Miles Grant, "Big Oil creates phony climate denial site, lies about it", Grist, September 4, 2009. ↑ Forbes (2009). Wyatt L. Hogan Profile. Forbes. Retrieved on 2009-09-18. 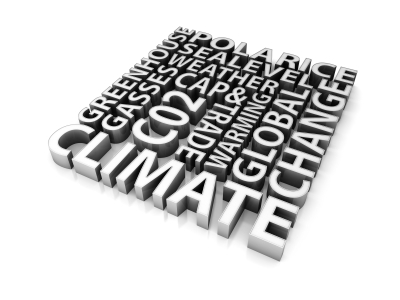 Steven J. Mufson, "New Groups Revive the Debate Over Causes of Climate Change", Washington Post, September 25, 2009. This page was last edited on 6 April 2011, at 17:08.